What you say online is often public and can be visible for a long time. It’s important to remember that your online behaviour can have serious consequences for your life and career; the law is still the law – even online. Social media can be a useful tool in your job search. Many recruiters have hired people because of the positive impression their social media profiles have made. You can also use your social networking activities to actively look for work. The Careers & Employability Service have a page about Social Media & Job Search with plenty of great ideas and the Guardian has prepared a list of top ten tips for using social media to find work. Employers often look up candidates’ profiles before they decide who to hire. Casual fun can be interpreted as unprofessional and prevent you from getting a job offer. Never discuss your job, colleagues or employers online, especially not in a negative way. As online discourse generates an automatic written record it is much more dangerous to your career than a verbal chat with a relative or trusted friend. Good spelling and grammar is desirable to employers. If your CV is perfect but your social networking presence is poorly written it could influence recruiters’ decisions. Social media creates a written, public record of conversations and events that might otherwise have been private, so there are some pitfalls to be avoided. It can be useful to know the University’s Social Media Policy. Restricted privacy settings can help protect your reputation, but beware that anything you post can be shared by others and quickly become public. If something is truly embarrassing, don’t post it in the first place, un-tag yourself, and/or ask friends to remove it. Be careful with your passwords! Someone else using your account, even as a joke, could be very bad. Drunken tweets, status updates and photos may be funny at the time, but won’t look very responsible later. 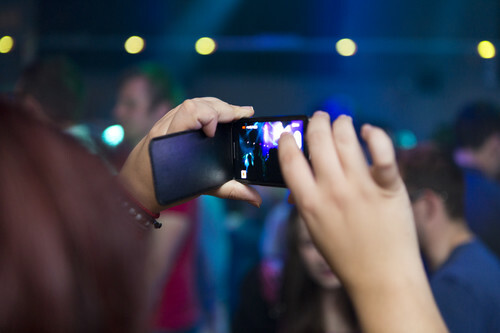 If a party or other event is likely to generate the sort of photos and banter that might embarrass you later, keep the celebrations offline and encourage your friends to do the same. Any statement which could have a negative impact on a person’s (or business’) reputation could lead to accusations of libel/defamation and lawsuits. Under UK law, if a person is accused of libel/defamation, the burden of proof is on them to prove that their statements are accurate. Legal proceedings are lengthy, stressful and expensive. It is easier than ever before to find, alter or share works which are copyright protected. Videos, music, pictures, written texts… but just because it is easy and there is no barrier to it, that does not make it legal. Be mindful of copyright. Jokes can have serious consequences when put in writing. In some instances, posting jokes that are in bad taste can lead to a prison sentence. Threats are treated extremely seriously. From ill-considered jokes about blowing up airports to posting entirely the wrong sort of Facebook event, “jokes” that appear to threaten national security have had dire consequences. Posting your thoughts, even when drunk, can in certain circumstances end up in a conviction, especially when what you post is racist or seriously abusive. The UK has some of the strictest enforcement in the world against so-called internet trolls and people who are abusive on Twitter and the world wide web. In Wales alone, hundreds of people have been arrested over reports of abusive online messages. There are other ways to get in legal trouble because of your online activities. The BBC’s Twitter users: A guide to the law outlines some that apply to all social networks, not just Twitter. As social networking sites are very informal spaces, one of their less pleasant aspects is that they aren’t always used in a positive way. Hurtful gossip, snide remarks and active, malicious bullying can occur online – just as they can occur outside cyberspace. The University has a policy about bullying which equally applies to online bullying. What else do you have online? Did you say something unpleasant on a web forum years ago you now wish you hadn’t? Have you posted to the comments section of any websites? Do you have anything in a public wishlist on Amazon? Is it embarassing? Have you left an angry review somewhere that doesn’t reflect well on you? Disable or delete old accounts and remove anything you can that you don’t want other people to see – it might not be possible to remove everything, another reason not to overshare in the first place. It’s worthwhile checking what information there is about you online, you may be shocked by how much you’re sharing with the world. A simple online search for your name might throw up surprising results. Even for sites or services that are nominally anonymous, it’s often possible to work out someone’s identity from what they say, their username, or a reverse image search. Mae Prifysgol De Cymru yn elusen gofrestredig.